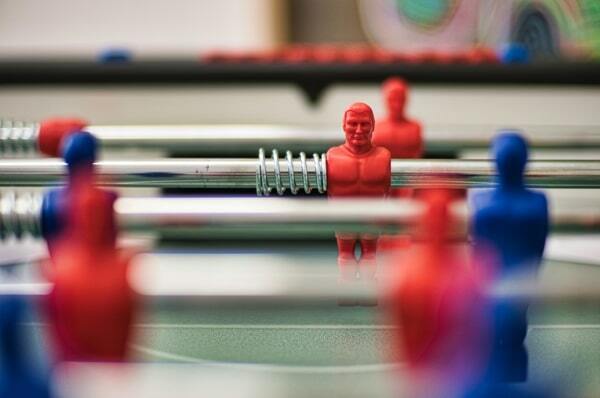 Are you a Foosball enthusiast? If you have a Foosball table at home and you want to ensure it’s always ready for an impromptu tournament night with your friends or family, you need to keep it in tip-top condition. 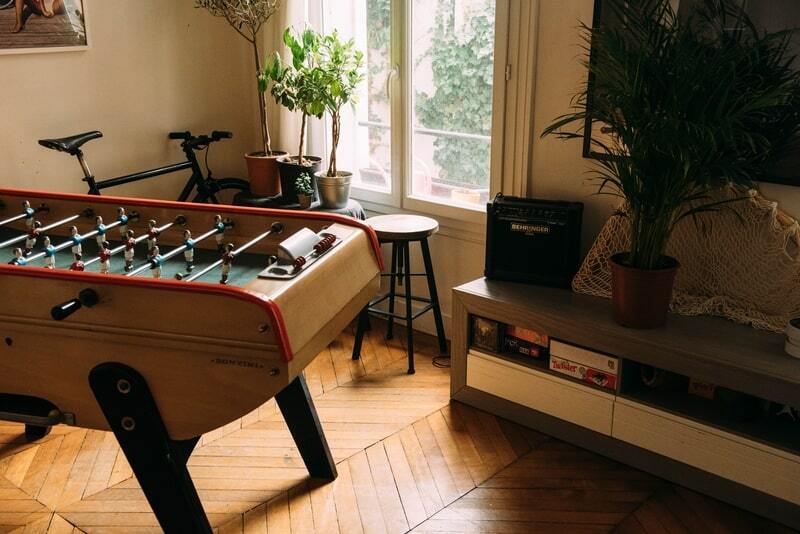 There are so many people who buy a foosball table for their modern homes or office spaces, but then forget to clean and maintain it due to busy lifestyles. However, foosball tables can suffer from huge wear and tear due to regular use, so it’s imperative that it undergoes general maintenance and cleaning. How often you clean your foosball table will depend on how often you use it. If you use the table every day, you will need to clean it at least once a week. For recreational players who only bring the table out at parties to have a laugh with friends, it’s advisable to clean it once a month. Beyond that schedule, it’s important to keep an eye on it and make sure it’s not sitting there gathering dust. You need to clean every part of a foosball table to ensure its longevity. The experts at Foosball Table Reviews recommend that you start with a can of compressed air to blow away the accumulated dust particles and get to all the hard-to-reach places. The common problem that wrecks Foosball tables is that food and drink get spilt on to it during parties, so using a can of compressed air on a regular basis can make a huge difference to its overall appearance. The next step is to take a cloth to wipe down every inch of your foosball table. The experts recommend using a cloth that is soft and free from chemicals, which could potentially affect the table’s colouring. You can use the cloth to clean the foosball table itself, the little footballers and the rod handles. This procedure is important for removing any kind of spillage and accumulated debris from the area. If after cleaning the area using a dry cloth you still observe a few stains – don’t worry – they will be removed further down the cleaning process. At this point, it’s also advised to wipe down the bottom part of the table, including the legs. Once you’ve completed this stage of foosball table cleaning, you can move to the next step. At this stage, take your clean, soft and chemical-free cloth and apply a small amount of rubbing alcohol on it. In order to achieve the best cleaning results, use rubbing alcohol with 70% to 80% volume. Now wipe down all surfaces of the foosball table using the cloth. This will both clean and sanitise your table. It’s important to note that the rubbing alcohol evaporates fast, so there is no need to worry about any kind of smell. Still, it’s best to use the rubbing alcohol in limited quantity so as not to leave a sticky, smelly residue. If you notice any black marks on the table which have been caused by balls, you may need to put a little elbow grease into your rubbing! Be careful not to harm the rods or your little footballers in the process. You’re at the final step! It is now time to apply foosball silicone on the table rods. A fresh coat of silicone will keep your foosball rods clean as well as helping to attain maximum lubrication, which is of course extremely important for nail-bitingly close foosball competitions! Make sure you only use good quality silicon that is specifically designed for these tables because cheap alternatives could end up ruining your foosball table. The experts at Foosball Table Reviews advise not to use WD-40 on foosball rods as it is too strong an agent that could potentially degrade the quality of rods over time. When it comes to this step, make sure to use the foosball silicone sparingly and only in well-ventilated areas. If your foosball balls are appearing a little rugged, it’s also sensible to give them a clean with your dry cloth and rubbing alcohol. However, if they are still not clean after this, put them inside a sock and give them a wash in the washing machine. Never ever put them into the dryer though! Once they’ve had a spin, leave them to dry in the fresh air outside. Place the table in an area that stays tuned to normal room temperature. Foosball tables are not designed for outdoor use and should not be kept in direct contact with the sunlight. If your table is in a particularly sunny part of the house or near a window, make sure to keep is protected with a foosball table cover. If you want to move the table from one room to another, don’t drag it. Instead, get someone to help you lift it so that the legs can stay safe from any kind of damage. Do not place drinks and food items on the table! It’s a no-brainer. If, unfortunately, you do need parts of your foosball table replaced or repaired, make sure to do it promptly and not continue playing as this could cause irreparable damage to your table. You can find information on where to get foosball table parts for repair purposes here.